Macau is the first and the last place in Asia to be colonized by European. By Portuguese, to be exact. They came to Macau approximately four hundred years ago and this city became an overseas territory of Portugal until 1999. When you walk around Macau, you'll see some European style buildings and the street names are in Chinese and Portuguese. Yes this is the city of Light.. i just stay in macau for 2 days.. 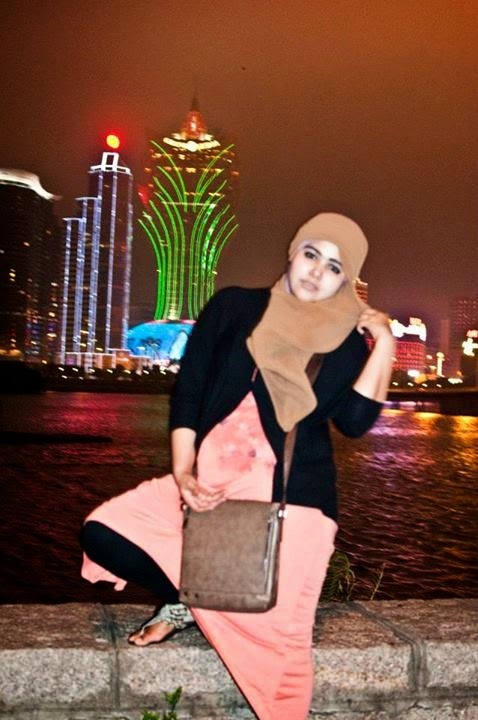 Behind me : The Famous Hotel and Casino in Macau "Grand Lisboa"